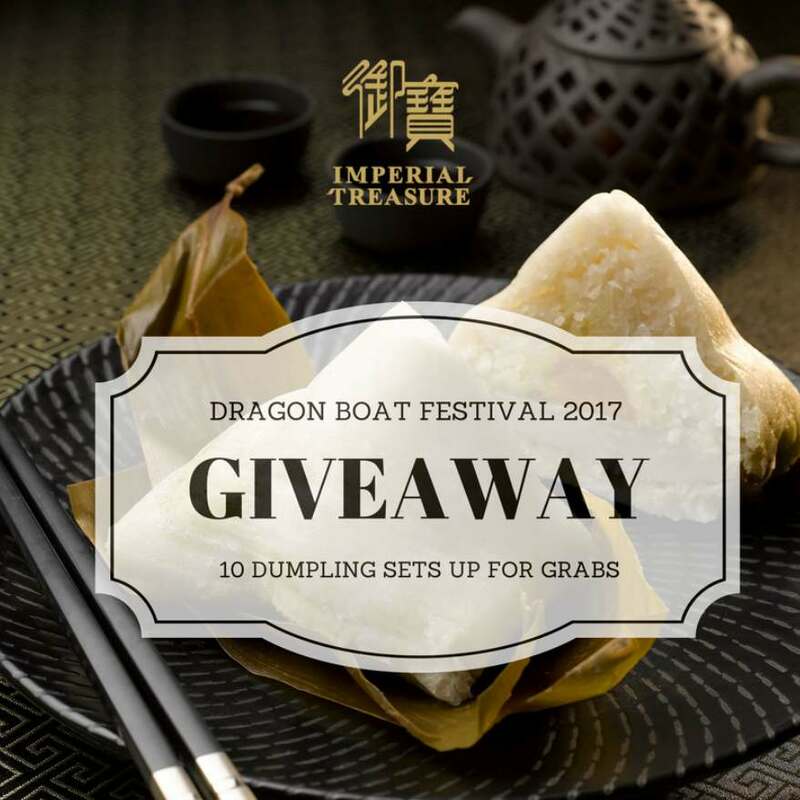 <Giveaway> This Dragonboat Festival, Imperial Treasure is giving out 10 sets of rice dumplings (Traditional Pork Rice Dumpling, Dried Scallop Rice Dumpling and Lotus Paste Dumpling, 1 each). Step 2: Tell us in the comment below why you should win. Step 3: Tag as many friends in the comment below. Contest ends on 17 May 2017, 2359hrs. Winners will be selected randomly at management’s discretion and be contacted via PM. PS: Remember to set your account to public so that we will be able to see your profile. Open to residents in SG only. T&Cs apply.